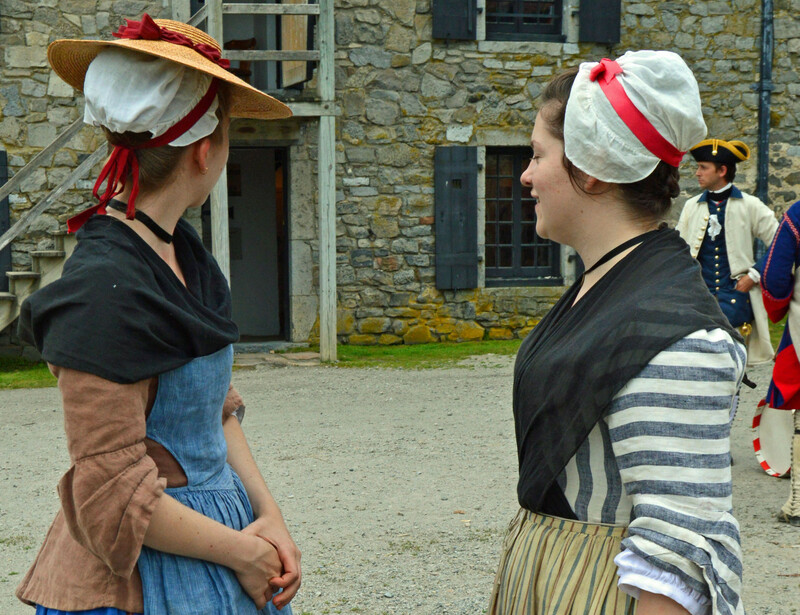 Join Fort Ticonderoga Head of Costume, Nathalie Smallidge, to build your own women's short jackets, a style common in French Canada during the 1750s. The workshop will begin with a brief presentation on women's fashion in French Canada examining both European and Native American influence and how those details could be adapted to individual tastes. Kits for clothing accessories will be available for purchase including; coiffes, French caps, fichus, black silk ribbons with saints' medals, pinner aprons, Native American leggings, and moccasins. The cost is $190 (Fort Ticonderoga Members $175). The workshop includes lunches, a cut-out jacket kit, and sewing materials. Advanced reservation required by calling 518-585-6190.